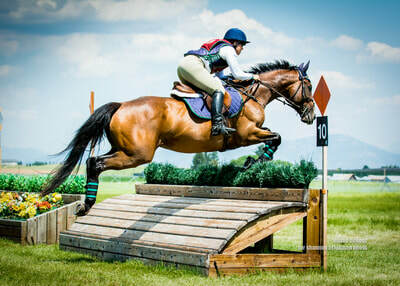 Tally Ho Farms is a lesson and training business owned by Meg Finn which operates out of Redmond Ridge Ranch, a full care boarding and training facility. Boarding is available. and while boarders are encouraged to take lessons, full training is not required. This family friendly farm offers amazing care and around the clock supervision. For more information regarding boarding or training, please contact Meg at megkfinn@gmail.com or call/text (650) 438-7535. Meg and Kelsey, her first horse. 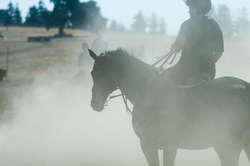 Tally Ho Farms was created by San Francisco Bay Area native, Meg Finn. 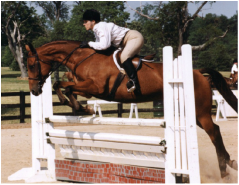 Meg's introduction to horses began in the hunter/jumper world at the age of 11. 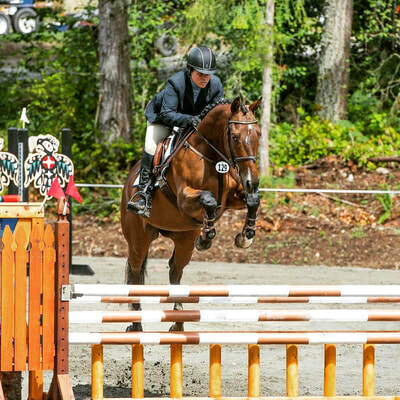 Meg trained with Heidi Cowley in Pleasanton, CA, competing in the hunter, equitation, and jumper arenas. Heidi’s program instilled a strong foundation of flat work and equitation, which Meg uses in her own program today. 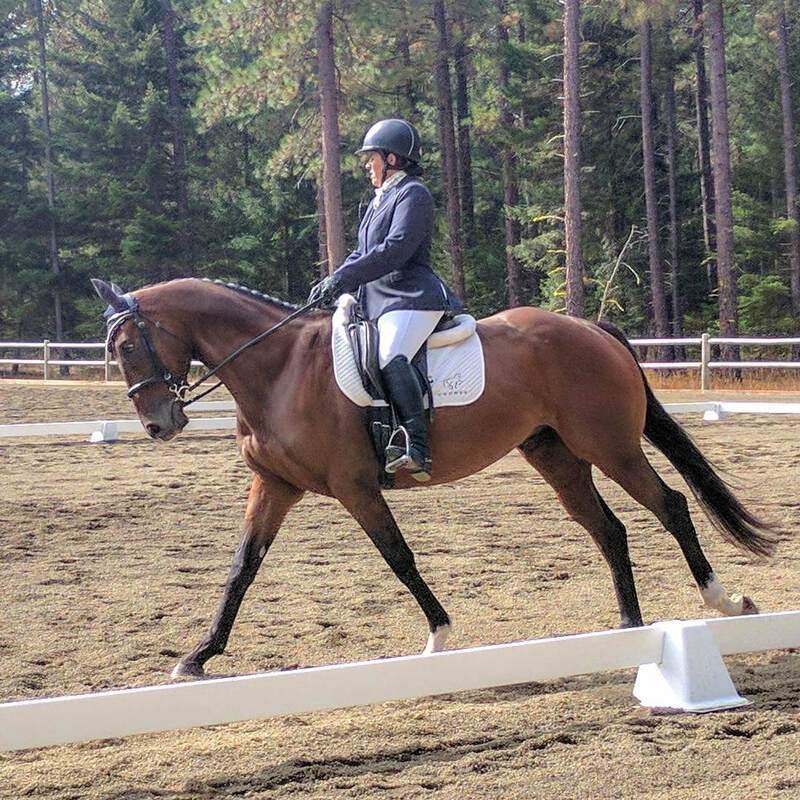 ​While Meg’s early education began in the hunter/jumper world, her background includes experience in a wide variety of horse sports, such as dressage, driving, team penning, barrel racing, foxhunting, and even packing mules. 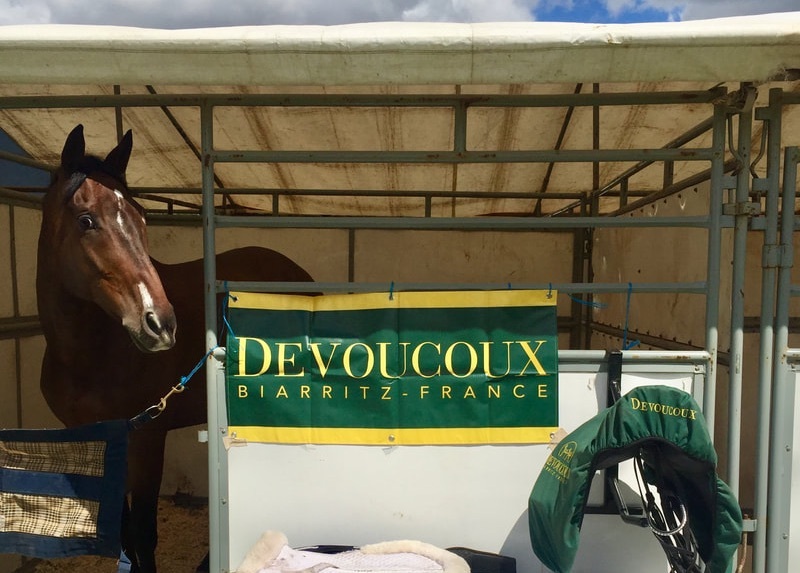 She has competed successfully in these sports as well as through the FEI CCI*/Intermediate level of Eventing. In 2005, Meg joined the Stanford Equestrian team staff as an assistant coach and instructor for the Stanford Riding Academy. In 2013, Meg took a riding position in County Wicklow, Ireland, training with international 4* event rider Melanie Wrynn (nee Ashe). In addition to work at Melanie's yard, Ardeo Sport Horses, Meg also worked for Richard Sheane of Cooley Sport Horses, one of the top sales barns in the world. 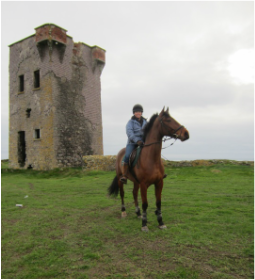 Focusing on her own riding and immersing herself in a country and culture that is based on a passion for horses was a dream come true. Meg returned to the US and continues to share with her students the knowledge she gained abroad. 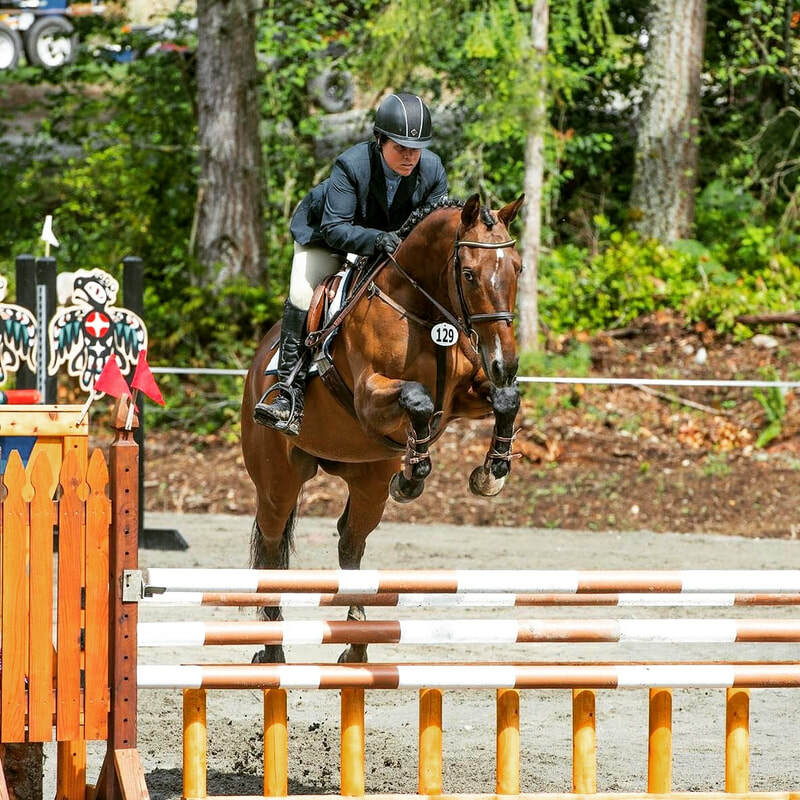 Over the years, Meg has trained with top riders such as; Victor Hugo-Vidal, Cathy Wieschhoff, Melanie Wrynn, Boyd Martin, Hawley Bennett, and Yves Sauvignon, and more recently with John Camlin. She continues to participate in clinics and lessons whenever possible. 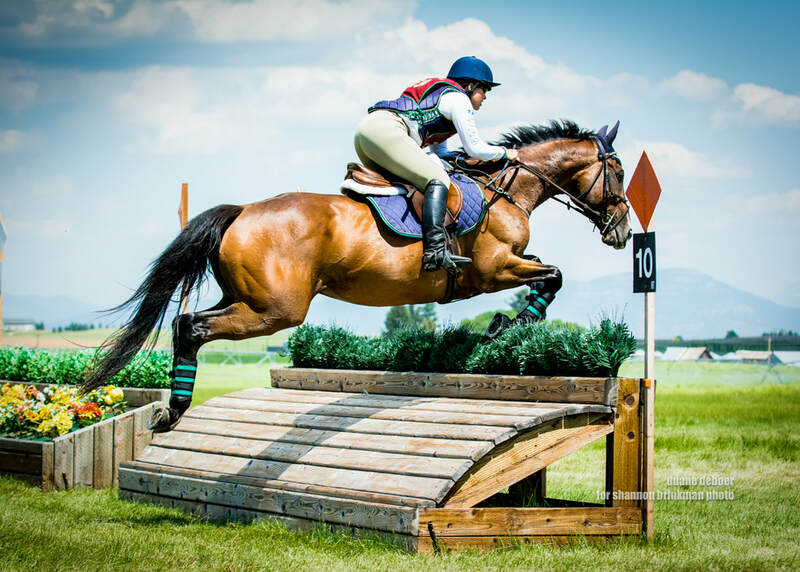 Tally Ho Farms is committed to providing horses and riders with the skills and confidence necessary to compete in all aspects of 3-Day Eventing. 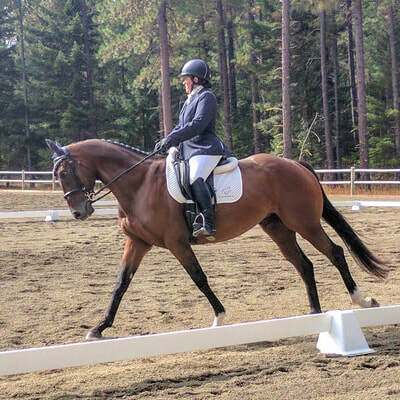 Building a solid foundation in dressage, show jumping, and cross country. Focusing on the importance and benefits of good all around horsemanship while providing unique and individualized programs.